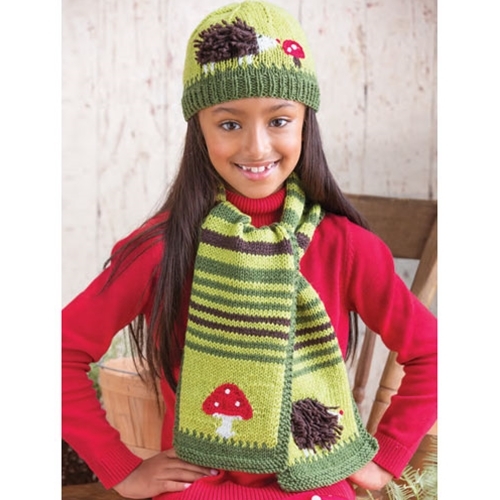 Borrowing the same intarsia motifs from the blanket, a singular hedgehog sniffs her way along the front of this hat, appearing again on the scarf, where she’s met by a mushroom. Simple edges—k1, p1 ribbing for the hat and garter stitch for the scarf—frame this set’s whimsical tableau. 19 sts and 24 rows to 4"/10cm over St st using size 7 (4.5mm) needles.